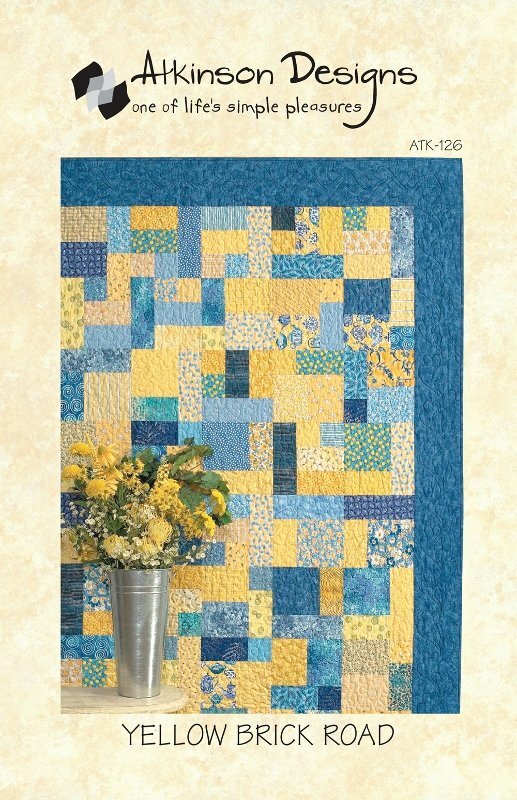 Home > Patterns > Atkinson Designs: Yellow Brick Road Quilt Pattern - Fat Quarter Friendly! 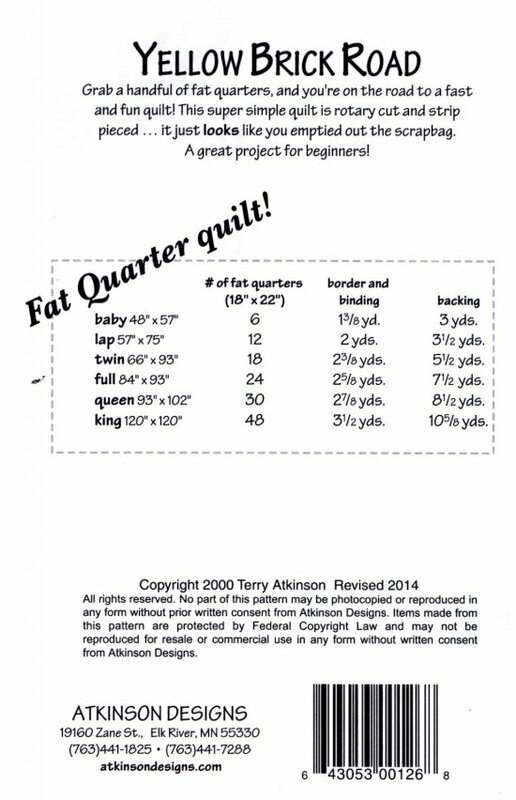 One of the most popular fat quarter quilt patterns, and for good reason. It's a fast, fun quilt to make with a scrappy look, and a great project for beginners! Rotary cut, strip pieced. 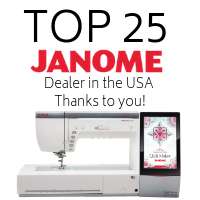 Choose from 6 different size quilts and be fast on your way to making a great quilt.